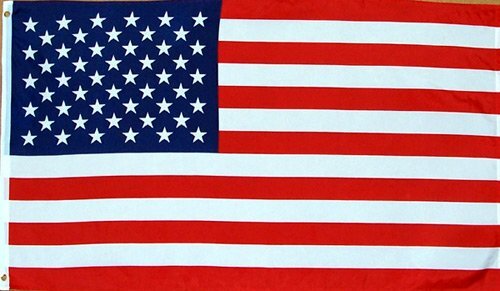 United States of America Flag (3' x 5') - USA Flag. Dimensions: 3 Feet x 5 Feet. This Durable Printed Flag Can Be Displayed Either Indoors or Outdoors. Contains Two Hosting Grommets So Flag Can Be Connected To Pole.